Guardall is actually Australia’s own quality wall safe manufacturer. Our team style and design our own products and we have them constructed according to the strictest level of quality controls. 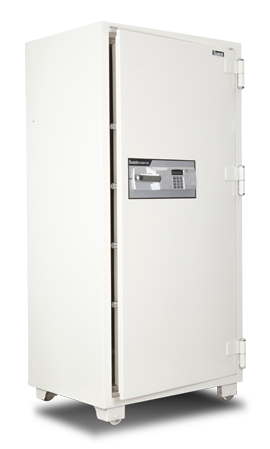 Guardall has a safe for any purpose; homes, businesses and organizations right through to banking institutions; all to keep your posessions safe from theft or fire. View our online site to see the safe that you feel fits your current requirements, and contact our team immediately for the Guardall remedy. Tel 1300 1 SAFES (1300172337) in order to be patched through to your nearest Guardall Chosen Supplier. Buying a safe for the home or business can be a good way in order to safeguard ones belongings. There are various solutions available and the best choice is dependent upon precisely what a person will need to protect, the risk as well as the level of security you wish. When theft may be a concern, choose a product which might be moored solidly to your house or office for the greatest security measure. If fire protection is your top priority look at the fire resistance rating. For media such as data cassettes and cds, decide on a media safe utilizing dry fill structure which doesn’t give off water vapor. Adding a good safe in your home or perhaps business premises could possibly have benefits in reducing insurance charges. Check with your own insurance broker to see if the brand-new safe or vault will qualify you to get reductions. Regardless of what product you choose, think about your options thoroughly and make the best selection to safeguard your possessions. And maybe even less difficult, give us a call and we will help steer your choice making procedure. The one point in time you need that protection you’ll know it was time well spent.